Learning doesn't only happen in the classroom. It can happen anywhere. 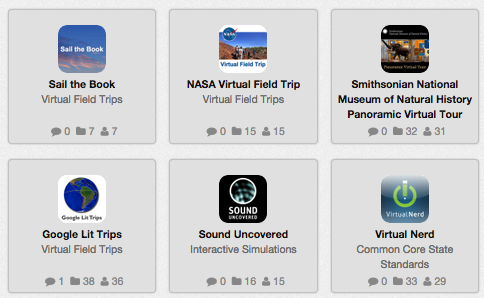 Here are some teacher-tested tools to take you places, whether it be physically or virtually. Make an adventure out of learning. Get dropped in a random spot in the world and, using Google Street View, guess your location. Explore tens of thousands of museums around the world from your browser or mobile device. 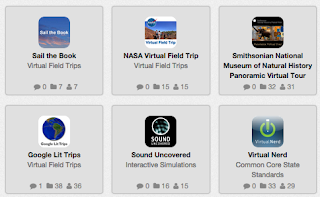 Find kid-friendly museums, libraries, and cultural centers that you can use for field trips. Currently limited to a few places in the U.S. Play an educational CCSS- and NGSS-aligned version of this popular city-building game. This one is curated by library media specialist Julie Prescott. This is curated by library media specialist Pamela Vallee.